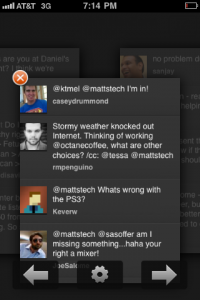 A couple days ago, TweetDeck dropped a completely revamped version of their iOS app. 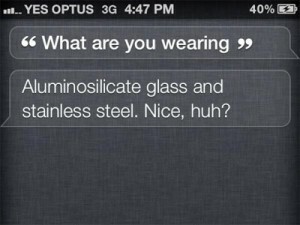 Most of the interface elements make perfect sense, but take a little time getting used to. Pinching columns out for an overhead view works great, but it’s not intuitively obvious. It’d be great to see some kind of overlay when first signing in that shows an example of the gesture. It’s the same problem that plagues Twitter for Mac and Twitter for iPad. They have some awesome three-finger gestures that work brilliantly, but they’re tucked away far too deep. The inverted scrollbar is a little strange at first; most apps use the center of the bar to indicate your position, but TweetDeck uses the bottom of the bar to show where you are. And when you scroll up, the bar shortens instead of moving. Again, once you get used to it, it’s a great experience. I love the way that column headers are represented when viewing, though – the shadow of the notification light when viewing unread tweets looks really slick. Performance is also vastly improved – even on my iPhone 3G, scrolling is smooth, and the app locks into your swipe between columns much better. No one enjoys highlighting a tweet when you’re intending to switch columns. Aside from a few quirks, this app is much more polished than the previous iteration. Hit up the download! 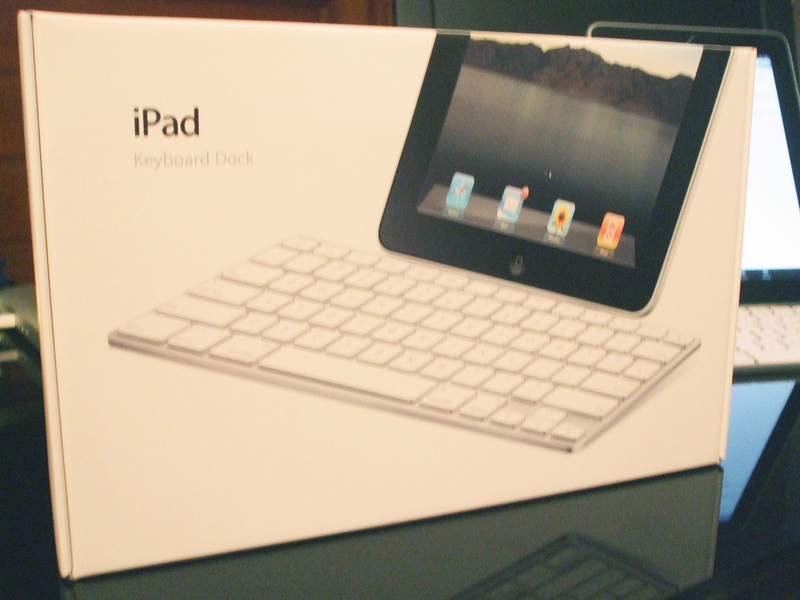 I’ve been the proud owner of an iPad for a good eight months, but have never paired it to a keyboard. It’s been more of a device for when I’m traveling or in awkward situations, such as in bed. My desktop and laptop have been my main powerhouses, and as attractive as blogging in bed sounds, it never really took off. 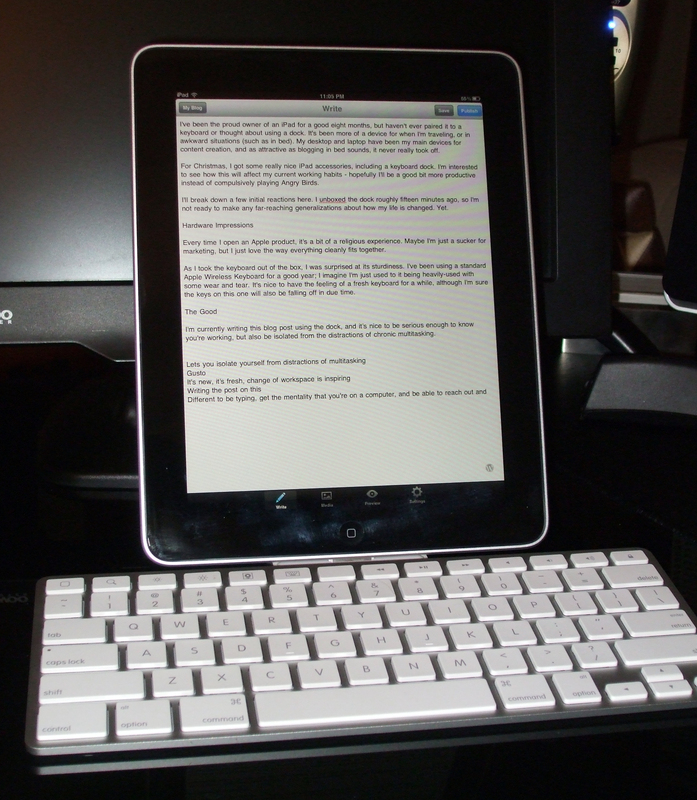 For Christmas, I got some really nice iPad accessories, including a keyboard dock. I’m interested to see how this will affect my current working habits – hopefully I’ll be a good bit more productive instead of compulsively playing Angry Birds. Every time I open an Apple product, it’s always somewhat of a religious experience. Maybe I’m just a sucker for marketing, but I love the way everything cleanly fits together. As I took the keyboard out of the box, I was surprised at its sturdiness. 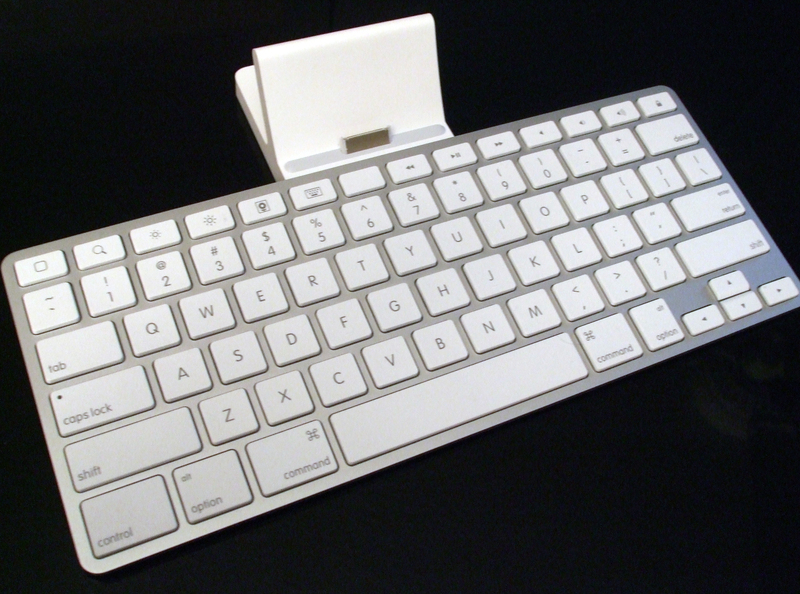 I’ve been using a standard Apple Wireless Keyboard for a good year; I imagine I’m just used to it being heavily-used with some wear and tear. It’s great to have the feeling of a new keyboard, although I’m sure the keys on this one will also be falling off in due time. I wrote this post using the dock and WordPress app. It’s nice to have a keyboard to remind you that you’re working, while staying isolated from the distractions of chronic multitasking. It’s new, it’s fresh, and quite frankly, the change of workspace is inspiring. It’s a different experience to be immersed in typing, get the feeling that you’re on a computer, but be able to reach out and touch the screen. The ability to charge and run audio out is also a handy addition; I’ll probably be using this as a standard charging dock across the room when it’s not in use. Deeper integration with iOS is a must; one of the first things I tried to do was to try to cycle through home screens with the arrow keys. Unless there’s some setting somewhere that I don’t know about, this is a pretty big drawback. When I’m using the keyboard, I don’t want to have to keep touching the screen for basic navigation. A Control + Arrow sequence, much like in Spaces on OS X, would be great. It’d also be nice to be able to scroll through tweets in a Twitter app using the arrow keys. And although I’m aware it’s not a design flaw of the keyboard itself, I’d like to see landscape docking in a future iteration of the iPad. This piece of hardware shifts the iPad from a content consumption device to a content creation device (apologies for the profuse buzzwords). Between the WordPress app and a newly-discovered code editor, Gusto, I can now see myself cranking out a lot more work on my iPad. If you have $70 laying around, go for it. You’ll see the iPad in a whole new perspective.